For the second time in two weeks, my brother and I tried another eat all you can buffet restaurant at City Times Square in Mandaue City. This time, we dined at Tokyo Table. Tokyo Table is a Japanese restaurant. The highlight should therefore be Japanese cuisine. I didn't feel that though as the Japanese section was confined to some obscure corner in the buffet area. More aptly, we can refer to Tokyo Table as an Asian fusion restaurant. There was a sushi bar, a tempura and karaage bar, and a sashimi bar. Sadly though, I can't find any sukiyaki, my favorite Japanese dish. The sushi bar had a variety of selections. 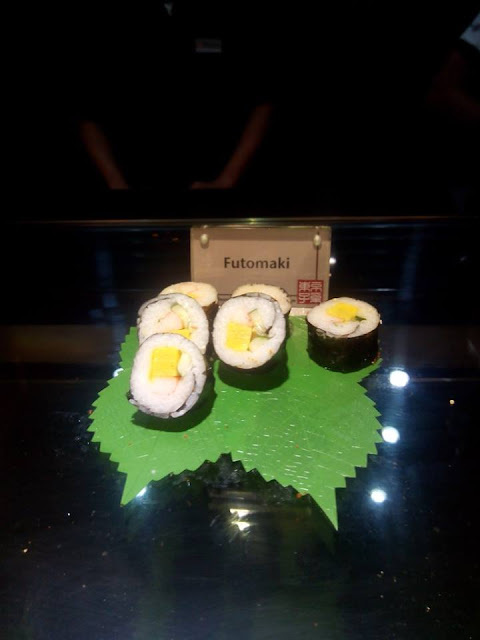 They have Tokyo Table Signature Roll, Ebi Tempura Maki, Futomaki, Maki Crunch Roll, Mango Crunch Roll, Spicy California Maki, Chef's Roll, Philadelphia Roll, and Salmon Sashimi Roll. Note: The vegetable karaage and ebi tempura were kind of bland for my taste. I needed lots of soy sauce to make them savory. Salad greens are also available at the Tokyo Table buffet. Hooray for those who wish to eat healthy! Dimsum dishes are also available at the Tokyo Table buffet. Dimsum items offered were Empress Roll, Quail Egg Siomai, Steamed Pork Spareribs, and Bola-bola Siopao. I felt that the entree dishes of various culinary influences were more highlighted than Japanese food. On the menu the night we dined were Peking Ribs, Ants Climbing Trees, Onion Garlic Pork, Fujian Noodles, Lumpia Chives Wrapper, Fish Finger Honey Mustard, Five Spice Chicken, Chicken Mojito, Buta Kimchi, Salmon Scotched Egg, Fish Hoisin, Chicken Taro Puff, Fish Pepper n' Thyme, Quail Egg Potato Nest, Steamed Fish Fillet, Pechay Guisado, Shrimp Balls, Sizzling Sisig. For soup, there was Salmon Cha Han and Fish Lip Soup. These are mostly Asian or oriental dishes. 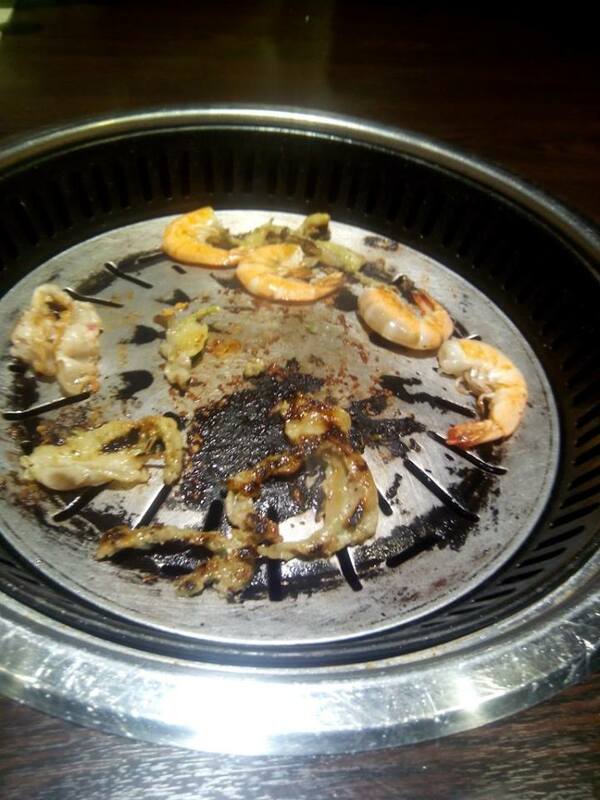 Each table at Tokyo Table is equipped with a smokeless grill. One may also request a shabu-shabu pot instead of a grill. 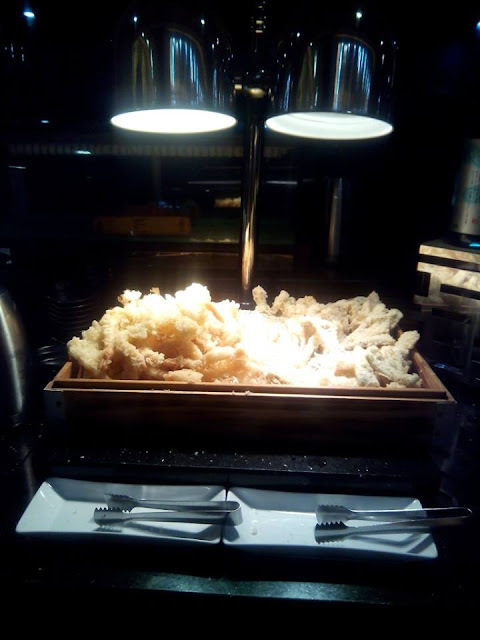 Items available are shrimps, squid, salted beef, Samgyeopsal, Yakitori, chicken satay, black pepper beef, black pepper chicken, and different renditions of bulgogi. Also available are sweet corn, lettuce, chicken barbecue, pork barbecue, chicken gizzard, chicken liver, green mussels, salmon head, skinless longganiza, and hotdogs. Note: Ask for assistance from the staff when turning the knob of the burner on and off. The buffet cost at Tokyo Table already includes several drinks one can choose from. Soda choices are from the Pepsi Company. There is iced tea in different flavors, blue lemonade, good old Taho, mango sago, and draft beer. They also have Nescafe coffee in various mixes. All beverages are bottomless. 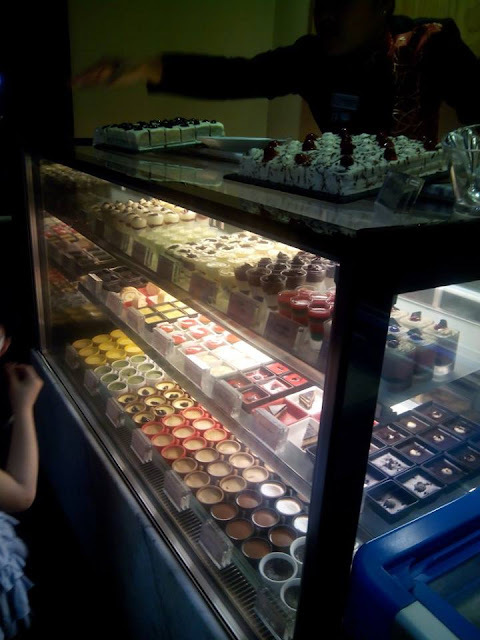 Tokyo Table offers a vast selection of dessert choices. 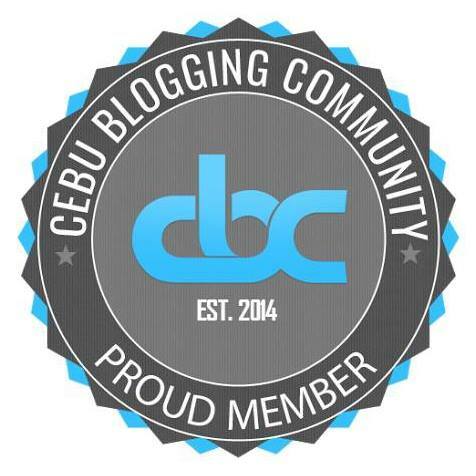 You can make your own halo-halo. Or you can choose to have just some ice cream. Popsicle sticks are also available. 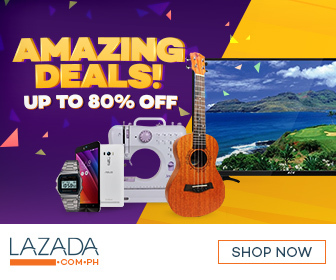 Then there's a lot of cheesecakes, some custaroons, buko pandan rainbow, agar rainbow, mango float, black forest cake, choco fudge, Brazo de Mercedes, and a lot more! Your sweet tooth is definitely in for a treat. Note: I enjoyed all the dessert items I chanced upon. Desserts are a highlight at Tokyo Table. 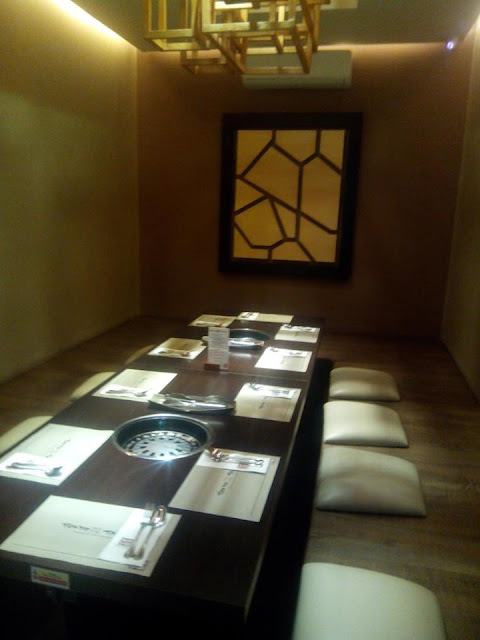 If you are a group of 8 or more diners and will be spending a minimum of PHP 5000, you may opt for a more private dining experience. The private dining rooms can be used by a group of 8-15 persons who are spending a total of PHP 5000 or more. The buffet costs ranges from PHP 616 to PHP 840 for adults depending on the days. Buffet meals at Tokyo Table are cheapest during lunch on regular weekdays and are most expensive during dinner on weekends and holidays. 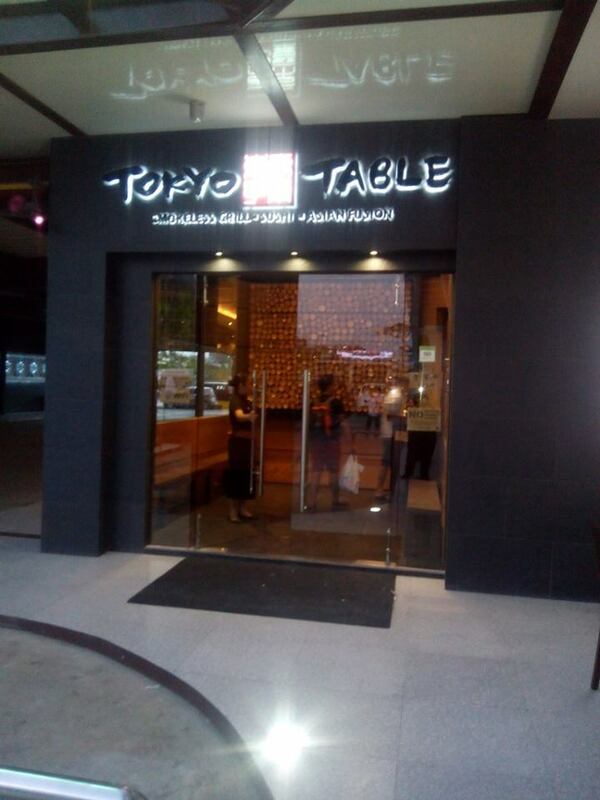 Tokyo Table is located at the City Times Square, Tipolo, Mandaue City. Exact Location of Tokyo Table in Google Maps. 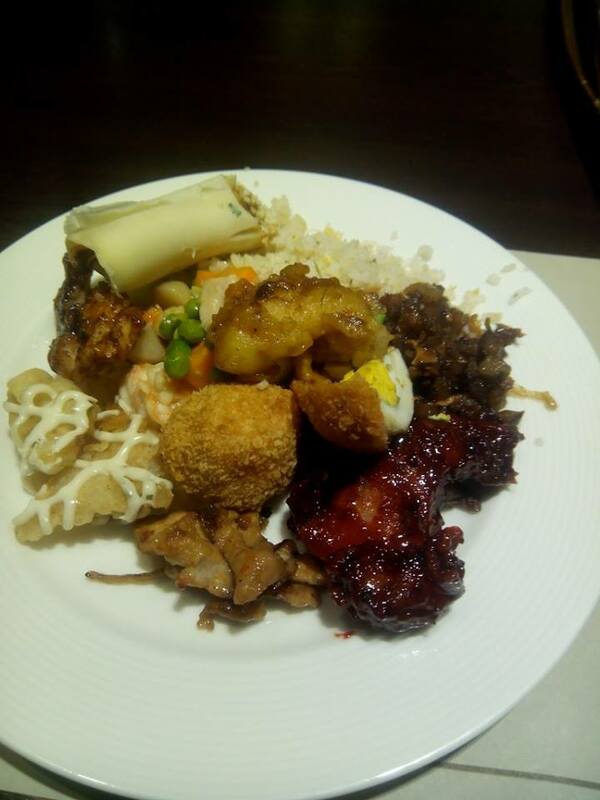 Have you tried the buffet at Tokyo Table in Mandaue City? We'd like to know about your experience. You may share them in the comments below. Woooww too much Japanese goodness. I'm interested with desserts. Hehehe. And sashimi of course! We've been here before! With the team too. It was P550/head for lunch buffet and it was heaven! We weren't able to try their other desserts aside from their ice cream and halo-halo though kay wa siya gipen for public. HAHA. Maybe they're only available for dinner? Haha. a group of friends went here and if you reach the min number of people they give you a free room and discounted rate i think.. food was great daw! rare ra mga authentic jap food so go lng ng go! Waaah looks so delish! Haven been to any japanese buffet restaurants! Im drooling now! Gulp. This post made me hungry. Haha! I'm not really a fan of japanese foods but maybe out of curiosity, I might this one. Hopefully their prices will be cheaper soon. Hahaha. They have great food selections! And assorted desserts and refreshments! I still owe you dinner! Are you a fan of Japanese food? Now I am hungry, but I do miss the place due to my jap food craving! You should visit Tokyo Table soon to satisfy your craving for Japanese food!